An investment of 10 million USD has been committed by Smile Telecoms Holding Limited to Tanzania’s first 4G LTE broadband network that will significantly speed up internet service in Tanzania. The commercial fourth generation long term evolution (4G LTE) broadband network was the first of its kind in Africa when Smile began work in 2012. Smile’s Group Chief Executive Officer, Irene Charnley said “After more than a year of extensive testing and valuable feedback provided by techno-savvy trial customers, Smile made its 4G LTE broadband network commercially available to its current customer base which ranges from SMEs and households, to hotspots and individuals in Dar es Salaam”. “4G LTE enables ultra-high-speed internet access, accelerating broadband penetration and vastly improving the online experience. The 4G LTE standard is at the cutting-edge of mobile telecommunications” she added. This service is seen as a major boost to the Tanzanian economy as its ripple effect on business users, students, and corporations will now have more reliable, fast and efficient internet service. “4G LTE is making the internet come alive for our customers due to the quality of the user experience”Charnley concluded. Viewin the internet service as a milestone for East Africa and the African continent as a whole, Smile Tanzanina Country Manager; Fiona McGloin said “Our experience in providing services to our customers over the past six months in Dar es Salaam has demonstrated that access to the best, most flexible, fastest technology anywhere in the world results in increased usage and demand for broadband”. 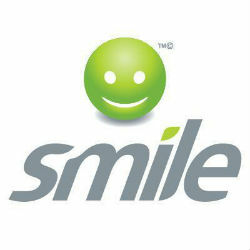 Smile Communications Tanzania is a subsidiary of Smile Telecoms Holdings Limited, founded to deliver affordable, high quality broadband access and communication across the African continent.